Did you check out my review of the JOLLY TIME Pop Corn with Smart Balance and my recipe for Sweet Popcorn Crunch? Please do - the recipe is easy, kid-friendly, and delicious! If you'd like to try JOLLY TIME Pop Corn with Smart Balance, here's how to do it for free! The folks at JOLLY TIME have sent me two coupons for a free package of popcorn - and I'm giving them away this weekend to two Frugal Follies readers! 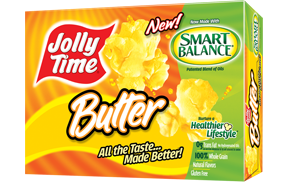 Here's the fine print on the coupon: Free JOLLY TIME Microwave Pop Corn Made with Smart Balance Oil (Any 9 oz. Variety). Not good on 12 oz or larger value pack sizes. Manufacturer's coupon. Expires 12/31/2013. 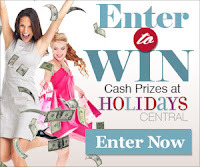 This is an easy giveaway - just enter your name and address on the Rafflcopter, then click enter. But hurry, this giveaway ends on Sunday, June 23rd! This giveaway is open to US readers only.